Shonen Jump magazine easily has some of the most recognizable characters in manga. If you're a fan of anime or reading manga, you most likely enjoy some type of Shonen Jump series. Jump Force, developed by Spike Chunsoft, celebrates 50 years of Shonen Jump magazine. The game is a crossover fighter with a large roster of characters from several Shonen Jump series. Fighters from the Shonen Jump universe have gathered on our world as humanity is invaded by an army of mind-controlled villains called the "Venoms". During a battle between Frieza and Goku, a civilian is injured and revived with the use of an Umbras Cube. This civilian turns out to be the main character of the game - it is your customizable character. 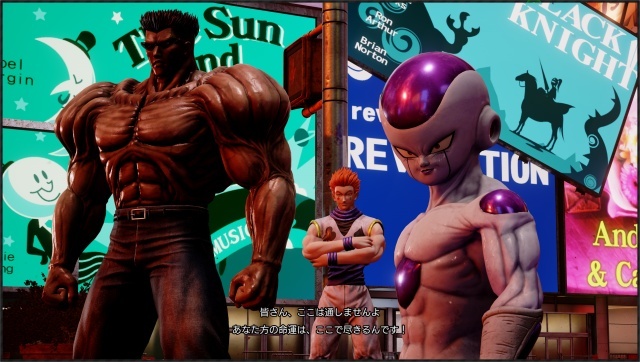 After making your character, you'll join up with the Jump Force and help them track down other Shonen Jump fighters with the help of your character's new abilities. From the start, you'll have to choose between three separate factions. The factions basically determine your starting move set. If you've played Dragonball Xenoverse, the overworld area is pretty similar. You'll get to explore a huge stadium and upgrade your character or take on missions from that area. You can equip your fighters with several different skills and abilities. You'll start out with four abilities but you can buy many others and customize your character. All abilities and overall customization is taken from other characters in the Shonen Jump universe. The overall fighting is similar to the Naruto games - many compare it to One Pierce: Burning Blood, but I haven't played that game. Fights take place on a 3D plane that your character and opponent can move throughout while attacking. All fighters have three variations of a standard auto-combo and four ability attacks. Every type of attack or defensive stance has some type of counter. If you stand and block or are preparing a super attack, a throw will beat it. Sidestepping while guarding will evade auto combos and abilities. The combat is overall solid - it's not going to be the next big competitive fighting game of the next EVO tournament, but it's fun. All fighters get some nice looking battle damage when getting hit a bunch. The battle damage carries over in between rounds. You can have up to three fighters on a team at once and be able to switch between them during fights and during combos. The life bar for your character is shared - if you switch out your character, the new character will share the same health bar as the character that was just switched out. Team members can perform assist attacks and they all have a cooldown time between assists. The roster is composed of a total of 42 characters from 16 different Shonen Jump series (40 character from Shonen Jump series and two original characters). A good amount of characters appear from the three most popular series of the game (Dragonball, One Piece, Naruto) and you'll find characters from lesser popular series such as Jotaru and Dio (JoJo's Bizarre Adventure), Kenshin and Makoto (Rurouni Kenshin), Kenshiro (Fist of the North Start, etc. The season pass promises additional characters as well. As you can see, there is no problem with the cast. There are too many characters to put in everyone, so of course, some have to get left out. The overall graphical style of the game is like a realistic anime. We get characters as we would expect them to look in the real word (while maintaining their anime appearance), which kind of makes sense in a game that has the real world as its setting. The particle effects are beautiful during battles. The overall game runs at an inconsistent framerate quite a bit however. Cutscenes with several characters on the screen will have noticeable slowdown and particle effects can cause the action to get jittery. There also a frequent loading screen in between matches - the loading screens take around 20+ seconds and get old rather fast. The game was played on an Xbox One X and I still got a bunch of slowdown here and there. Fighting games are not well known for having a very memorable story, but I would at least expect it to be entertaining, sort of like the Naruto games that I have played. Jump Force has a super boring story. From the get go, the game has a strong opening, but then quickly goes into busy missions for its main mission type. You just basically hunt down characters that have been mind-controlled and defeat them then they join your team. The open world area takes place in a gigantic lifeless stadium that really has no reason to be so big. To make matters worse, there is no sort of help for finding the next character that you need to talk to except for a marker whenever you reach the area - in such a huge area, I would sometimes wander around for a few minutes before finding the person. You can play the game online or offline. The online will add online players to the open world stadium area and a bit more things to do. Cutscenes are sometimes voiced (Japanese only) and sometimes they aren't. It really doesn't make sense why some cutscenes do not have voice acting since they appear to be just as important to the main story as the voiced cutscene. Another thing that really stands out is that Ryuk (from Death Note) does not have a voice actor. Whenever Ryuk speaks during a voiced cutscene, all is silent as his subtitles are displayed. The game can be played either online or offline. Starting out an online game will add online players to the stadium open world. You'll gain active points from speaking to NPCs while in online mode, which you can trade in for certain items. Online battles are divided between the standard casual (friendly) and ranked matches. There seems to be no option to immediately rematch an opponent after a battle no matter which online match type you choose - there is only an option to "queue for a similar match". The game is comprised of several type of missions. Key missions and Free Missions are you main mission types and there are tons of each one. 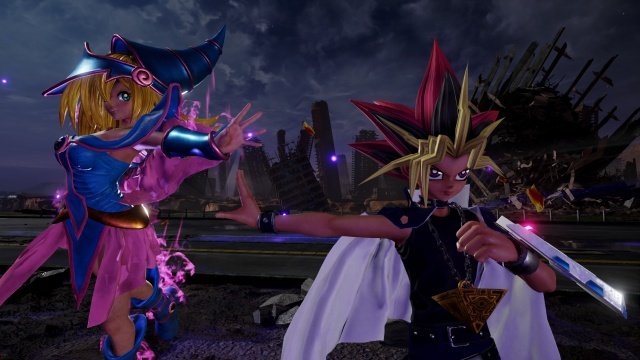 One thing is for sure, even with its downfalls, Jump Force does have quite a bit of content. All characters in the game have their own levels, so in order to level up each character, you'll need to use them often in battles to gain EXP. Different attributes are unlocked as a character is leveled up. Jump Force is very much a mixed bag of a game. It's flaws are very evident and they do ruin the experience, but on the other hand, the game does have a good fighting engine and loads of content. 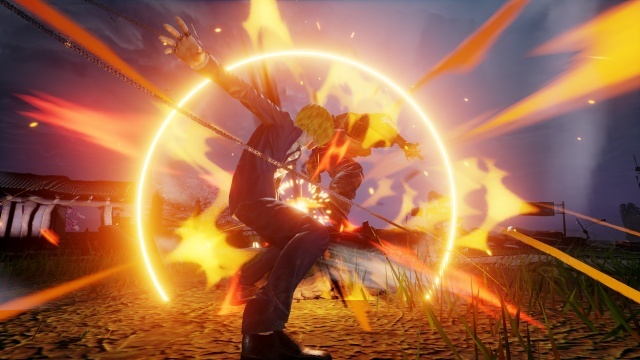 If you plan to play this game single player, I don't recommend it at all because the single player missions get repetitive very quickly and the AI loves to stand and block constantly, but if you plan to go online to battle opponents, you might something to enjoy in Jump Force. Final Rating: 60% - Jump Force celebrates 50 years of Shonen Jump with an overall rushed game that could have been so much more.